Stress is triggered when a demand, or stressor, threatens to overwhelm your capacity to cope. A deadline, illness, economic insecurity, the comments of others, a setback—any number of things can set off stress. When the response is activated, an ancient part of your brain believes your life is in danger. That perception may seem very real, but it's a false alarm most of the time, since most demands are seldom a matter of life-or-death. The stress response was designed for another time and place, an African savanna millennia ago, and doesn't know how to process the social stresses of the modern world. 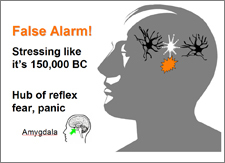 Yet the body reacts as if it really were a life-and-death moment, setting off the stress response, the body's defense system, and sending the central nervous system into flight-or-fight mode. That unleashes a surge of hormones, such as adrenaline and cortisol, that make your heart beat faster and blood pressure rise. That gives you extra strength and speed in legitimate danger, but it also forces the body to work much harder and taxes your entire system—even when you're sleeping. But most of the time it's a false emergency, one that can be turned off by using the tools of science to manage stress. Controlling stress is essential, because it's extremely costly to health, work, relationships, and finances. More than three-quarters of our doctor bills are stress-related issues. 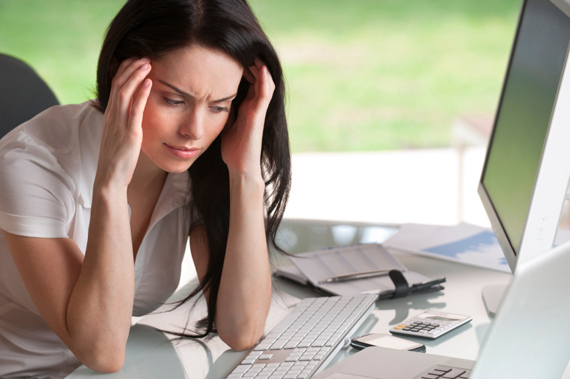 Health costs for employees with high levels of stress are 46% higher for businesses. The stress response was designed to go off only for a limited time until you were out of harm's way, not 24/7, as it can be with chronic stress. Because the stress response suppresses your immune system, chronic stress can set off any number of major medical problems. Stress increases the bad cholesterol and decreases the good kind. Stress can lead to strokes, back pain, IBS, insomnia, depression, and a long list of serious health issues. More than two dozen studies have conclusively linked work stress with heart disease alone. "It's not just a nuisance," says Dr. Steven Lamm, of New York University Mt. Sinai Medical School. "It's as much of a risk factor for heart attacks, strokes and cancer as the other known carcinogens. The impact on the immune system is overwhelming." Job stress also has a huge price tag for bottom lines, costing business $344 billion a year in absenteeism, lost productivity, and health costs (Middle Tennessee State study). It's all preventable, because there are very effective tools to control stress. A stress management program conducted by St. Paul Fire and Marine Insurance for 22 hospitals cut medication errors by 50% and decreased malpractice claims 70%. 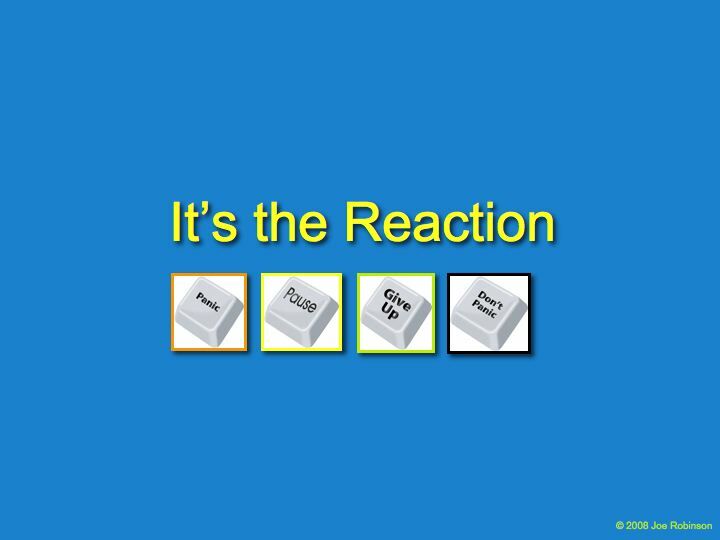 The research shows we can have a different reaction when stress shows up. We can use our heads to override emotional defaults from an ancient brain that thinks it's the year 100,000 B. C.
Stress management processes and tools allow us stop the stress-burnout cycle. It's not the stressors that are causing our primitive defense mechanisms to activate; it's our reaction to them. That's something we can change. Clearly, there are external factors that drive stress—from overload to family challenges—but how we respond to them is key. The Smash Stress Campaign wants everyone to have access to knowledge that can stop the stress response before it ruins health and racks up huge medical bills. Please sign our petition to get stress screening and management included in the Affordable Care Act, covered by insurance for all Americans. Stress Toll. It's estimated that unmanaged stress costs employers $5,000 per employee.